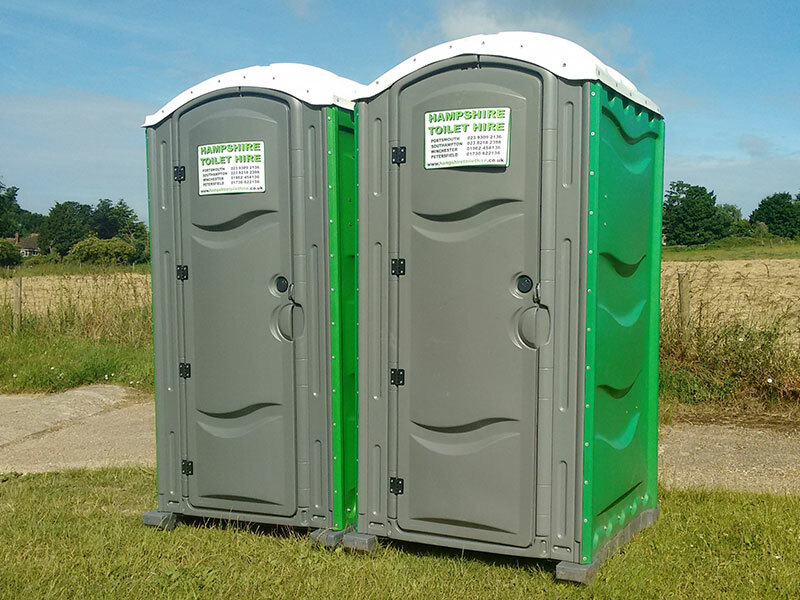 Hampshire Toilet hire provide portable toilets (site, event and disabled access) & luxury toilet trailers on a long term or short term basis in Hampshire for builders, events, shows, private functions & weddings. Ask or click on our brand new luxury toilet trailers which are probably the best luxury toilet trailers in Hampshire for your Wedding or special event! 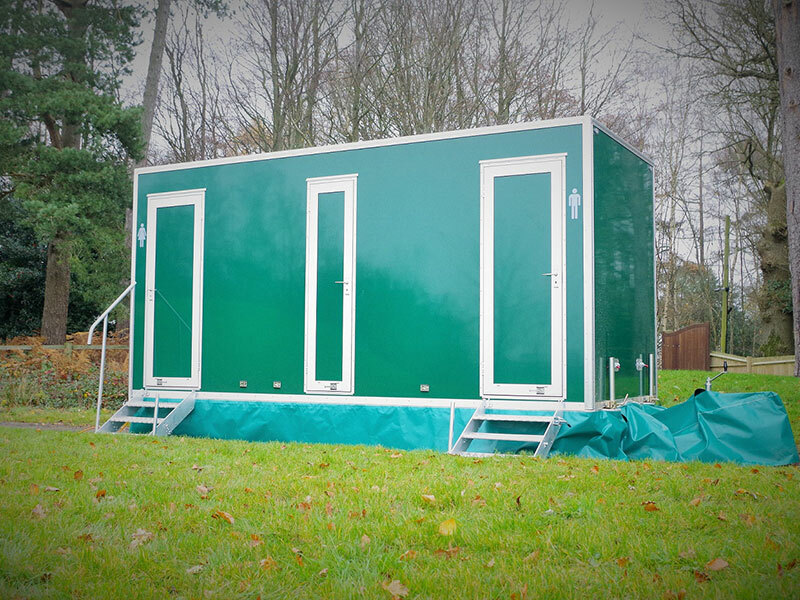 Toilet Trailers are supplied with all consumables – toilet paper, hand towels, liquid hand soap, hand moisturiser, waste bins, toilet brushes and sanitary bins for the ladies. 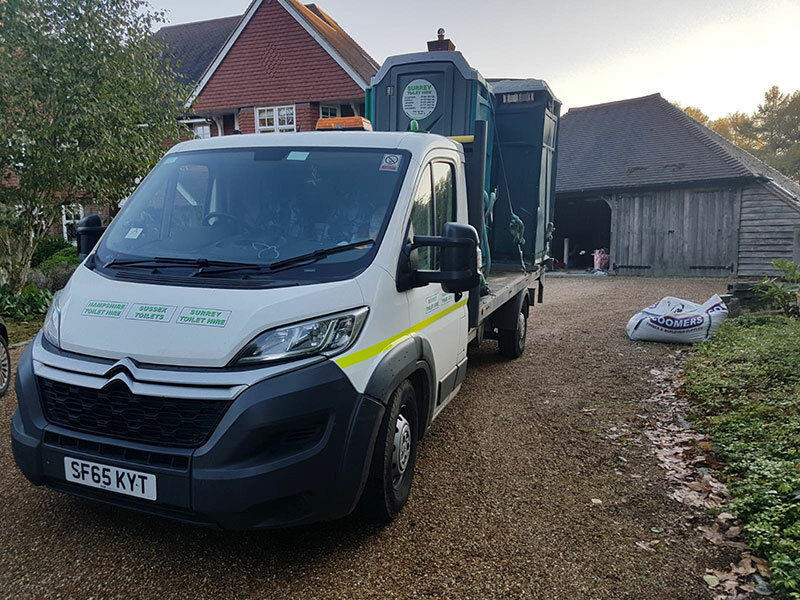 Hampshire Toilet Hire are certified by the Environmental Agency and offer a standard weekday delivery/collection (weekends can be arranged for an extra cost) with regular weekly cleaning on long term rentals. We have Full Public Liability Insurance and offer very competitive prices. Our goal is to exceed your expectations, so that we gain your business in the future, along with your recommendation. We have Full Public Liability Insurance, certified by the Environment Agency and offer very competitive prices. If you have a question, query or want to check availability please use the form below or contact us on the below telephone numbers. The plastic portable toilet/s need to be within 10 metres (33 feet) from the delivery truck, in order to be pumped/serviced. Please note that a standard plastic portable toilet/chemical toilet is 4 foot by 4 foot and 8 feet high, so please check the access to where you wish the unit to be situated. Luxury toilet trailers need good access (no awkward bends or low hanging trees please) and can weigh up to 3 ton, so no boggy ground please. The toilet trailers require a standard 240v plug socket or generator within 50′-60′ of the toilet trailer please.